Inflammation is a process where the body’s white blood cells and other substances protect us from infection by foreign organisms, such as bacteria and viruses. Inflammation is the bodies natural response to irritation, injury or infection. This natural response is the body’s own attempt at self-protection. While at times it may cause severe pain, not all forms of inflammation are bad. There are two kinds of inflammation, namely acute and chronic. Acute inflammation occurs as a natural response to tissue damage, lasting for no longer then a few days. Once the injury has passed its first stage of healing, inflammation will subside. Chronic inflammation, on the other hand, is persistent and not the type of inflammation you want. Chronic inflammation remains constant even after healing stage. This harmful form of inflammation occurs when the body no longer has the ability to turn off the inflammatory response, inevitably damaging healthy tissue. Chronic inflammation is long-term and may continue for years. If you would like more information on chronic inflammation please read The Inflammatory Response & Your Body. Western medication is falling flat when compared to all the natural products widely available. Even when it comes to inflammation, there are alternative treatment options. Many people are turning to more natural ways of effectively treating their inflammation, whether it be acute or chronic. Natural treatment alternatives have many benefits with little to no side effects. There are several healthy lifestyle changes to consider. Maintaining a healthy weight is essential for reducing pain and inflammation. 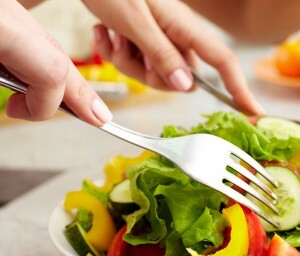 A healthy weight can be maintained easily, through exercise and a balanced diet. There are a variety of herbs you can make use of to treat inflammation. Take 400 to 600 milligrams of turmeric extracts three times per day. It is available in both tablets and capsules. 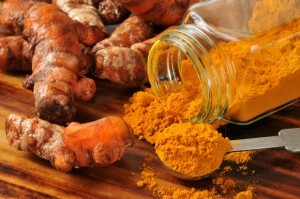 To truly gain the full benefit of turmeric you have to use it for at least two months. Don’t use turmeric if you have gallstones or bile duct dysfunction. Pregnant women should also avoid it without their doctor’s approval. Ginger in a powdered form is an excellent anti-inflammatory. Take 1 – 2 capsules (500-1000mg) twice a day with food. 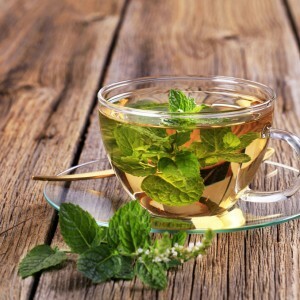 A study done by the NCCAM (National Center for Complementary and Alternative Medicine) showed that green tea combats inflammation in the body. It can be used in the form of beverages, tablets, or tinctures. When making tea, try mixing your green tea with other healthy ingredients such as ginger and honey. Willow bark can be ingested either as a beverage like tea or in tablet form when available. This herb is one of the longest used herbs known to combat and treat inflammation. Be sure to discuss dosage of this herb with your doctor before use. Cayenne pepper is used around the world in many cultures and is well known as a remedy for many ailments. It has the unique ability to stimulate circulation which greatly serves to reduce inflammation while speeding up the process of healing. Cayenne pepper also contains a substance called capsaicin. 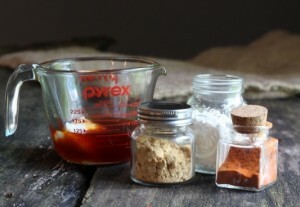 Instead of paying for the overpriced capsaicin cream at the store, why not try making your own? 1. Wear some latex gloves to protect your hands from the spicy peppers. 2.Grind several cayenne peppers down to a powder. You will need to mix one part powder with five parts jelly, so make sure to grind plenty of peppers. 3. Melt the petroleum jelly on the stove over a double broiler. 4. Add one part ground pepper to five parts melted jelly, and mix together thoroughly. 5. Pour the mixture into an airtight container. Allow the mixture to thicken before use. 6. Use this mixture to rub on bruises and muscle aches to stimulate blood flow. Remember to always apply the ointment with gloves, and wash your hands after every use so as to avoid contact with your eyes, nose, and mouth. Heat increases blood flow and makes connective tissue more flexible. It serves to temporarily reduce pain, stiffness and muscle spasms. Heat also helps to reduce inflammation and excess fluid build-up in the tissue. Applying something cold can be used to numb tissues and combat the pain of both acute and chronic inflammation, as well as reduce the inflammation itself. This can be done using an ice bag or cold pack. Speak to your doctor about the correct amount of time to use a cold pack and avoid tissue damage. Massage therapy can be used to relieve pain associated with inflammation. It will reduce swelling and loosen tight tissue. Only a licensed massage therapist should use massage therapy to treat an injury, so be sure to a professional beforehand. Acupuncture is used to stimulate the brain to produce endorphins. Endorphins block pain sensations and reduce inflammation. 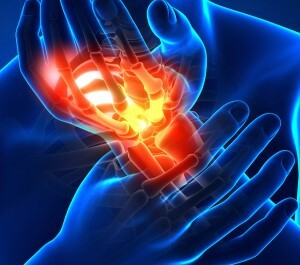 This form of treatment can be used with other treatments to manage chronic pain effectively. Thin needles are inserted through the skin at specific points in the body, usually far from the site of pain. A low electric current is then applied through the needles. Acupuncture should only ever be performed by a certified acupuncturist with sterile needles. Why not try a natural form of treatment to get rid of inflammation today. Please read The Secret to Pain Free Life with Custom Compounding for more information on treating pain associated with inflammation.